This kit is purely designed for sweeping 5", 6", 7" & 8" flexible steel, twinwall, clay and pumice liners and small flues. 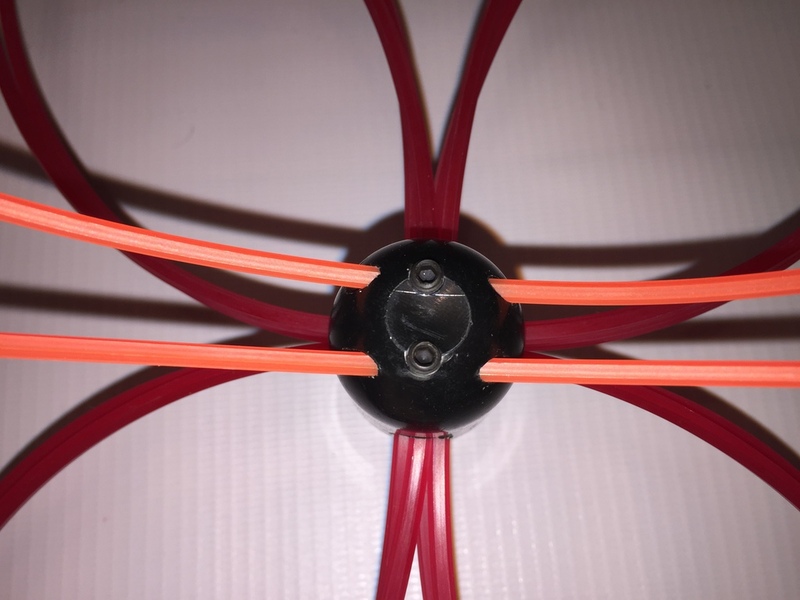 This system is highly efficient and it takes less than 30 seconds to connect all the double button lock rods together. 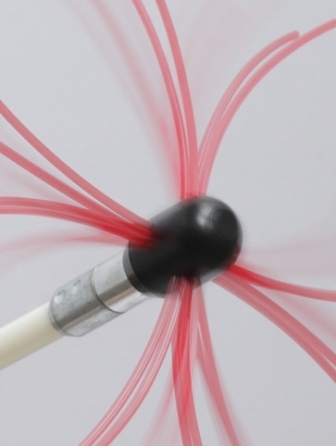 These rods are highly flexible and are ideal for sweeping a liner through a stove, where there is a 90 degree bend. 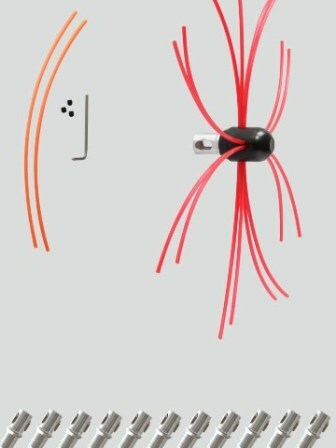 This kit will go up to 10 Metres in height, but additional rods can be purchased to extend this. The heads (Ferrules) of the rods are made of aircraft aluminium, so they do not corrode. 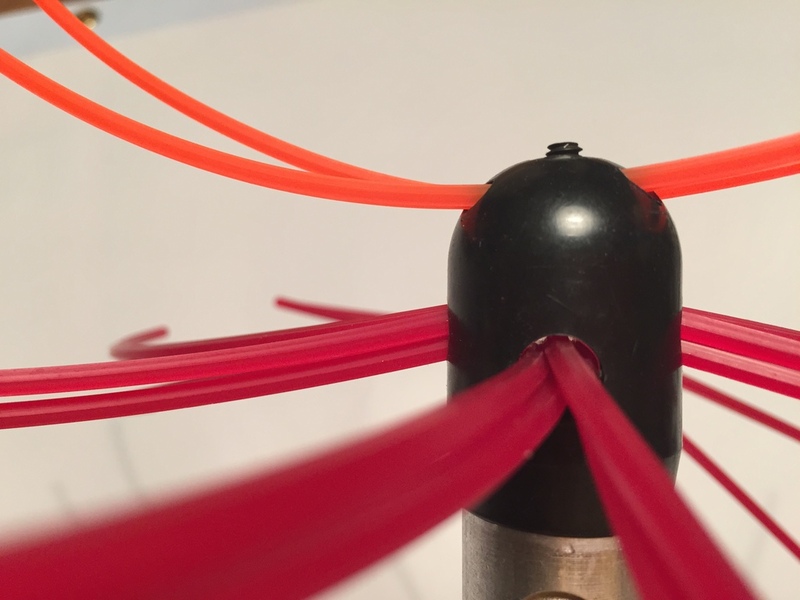 The ferrules are also double crimped at each end onto the 12mm solid nylon rod. 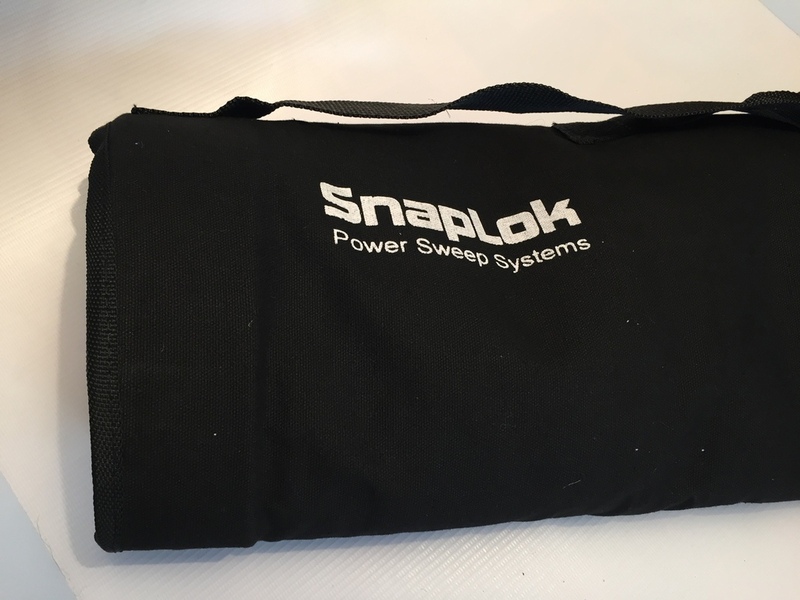 You can also use this kit for manual chimney sweeping, by connecting the SnapLok rods to a SnapLok to Whitworth adaptor and onto a liner brush if necessary. 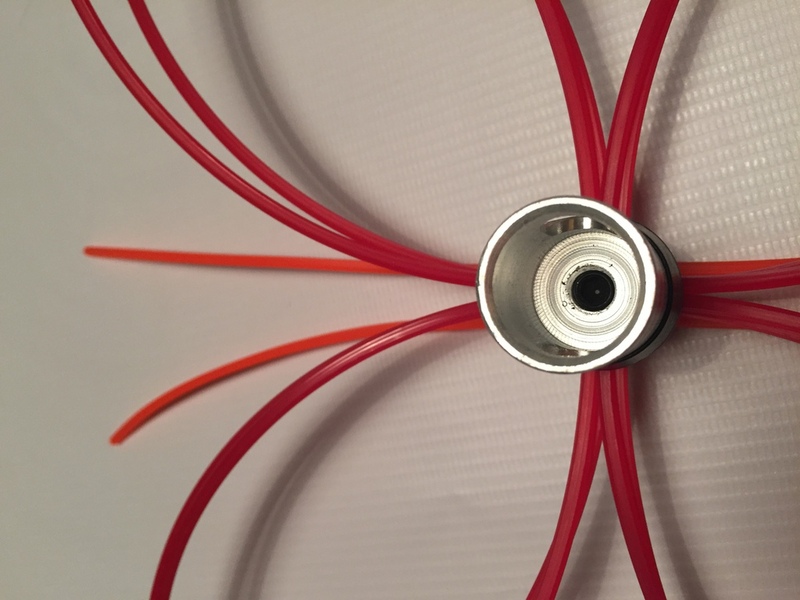 This kit comes with a 9" Snaplok Bullet Whip head which the length of line can be adjusted very easily by removing the screw in the base of the head to allow the whip line be replaced for a different size. All the rods are white in colour and we do not make a lead rod, as we feel that this is a weakness in the kit. 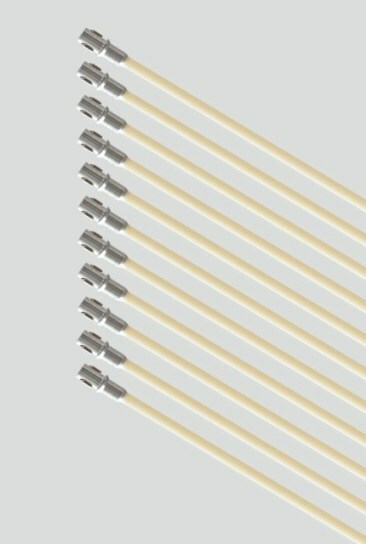 Using the same rod as a lead rod every time makes that one lead rod very weak after a period of time, and in our experience using other systems this can lead to a breakage of the lead rod, so rotating all the rods in the kit is the preferred method of power sweeping.